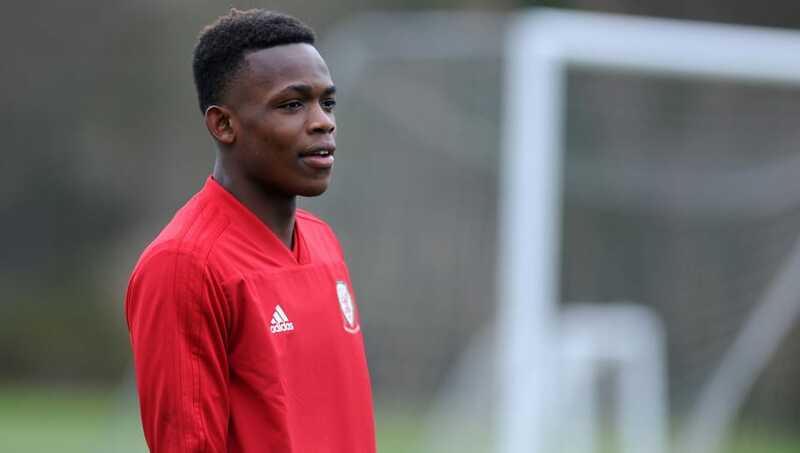 Manchester City could be set to lose hot prospect Rabbi Matondo this transfer window with the youngster in search of more regular playing time. The 18-year-old has grown through the youth ranks at City and has been compared by many of the academy coaches to former academy star Jadon Sancho - who made the switch from the Premier League champions to Borussia Dortmund in 2017 due to a lack of first team opportunities - with the Welshman seemingly wanting to make similar a move to that of Sancho. Matondo still has a full year left on his current deal with ​City, but it looks as though Pep Guardiola is set to cash in on the youngster and get some sort of compensation whilst he still can rather than potentially losing him on a free transfer upon the expiry of his current contract. A number of clubs such as Bayern Munich, Everton and Southampton are rumoured to be interested, but according to ​The Sun, ​Bundesliga side Schalke submitted an offer of £8m for Matondo with manager Domenico Tedesco reckoning the youngster is indeed good enough to be placed immediately in their first team. City rejected the initial offer, but it looks as though they'll find it increasingly hard to keep hold of their hot prospect with the report going on to state that Schalke are now set to up their offer to £10m in an attempt to lure the youngster away from the ​Premier League holders. City have already lost fellow youngster Brahim Diaz to Real Madrid this transfer window, and with Sancho's high profile move two summers ago it looks as though the club could be set to lose yet another one of their brightest talents, who has already scored nine goals and bagged six assists for City's Under-23 team in their current campaign.